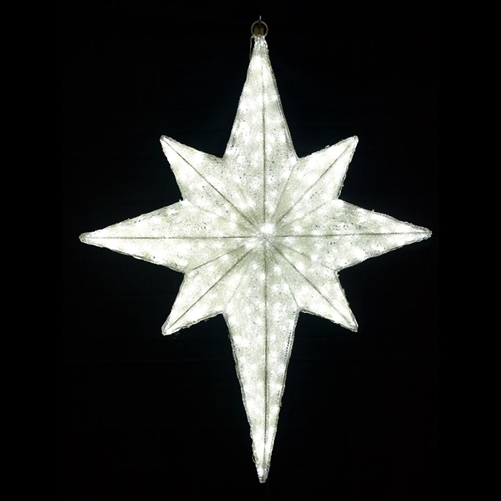 Ideal for your large nativity scene, this charming 47" LED outdoor nativity star brings a bright finish to your exciting outdoor display. It features a two-sided, three-dimensional design to allow it to be seen from every angle. 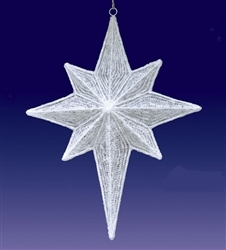 Each large outdoor Christmas star features (420) efficient mini LED bulbs. The second image is a night time shot. Made with acrylic over a steel frame. Hook provided. Call for availability before you order on line.